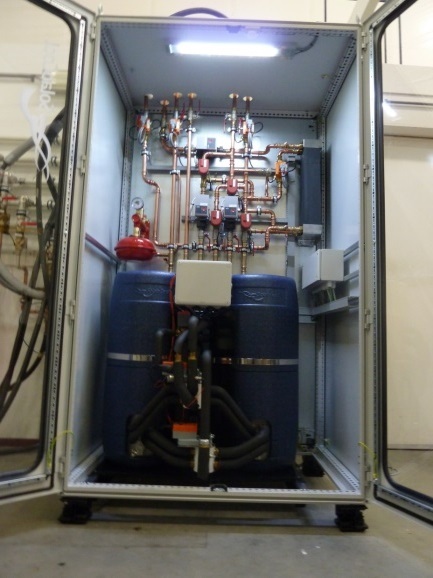 April 15,2015: European demonstration project (Merits) for energy storage and energy conversion via Solar energy using the Solabcool for cooling. Inside the container. Blue cover contains the SolabCool. Opening of the container in the paper. Last week we delivered a special pilot project to the Sustainable energy department of the HAN university of applied sciences. 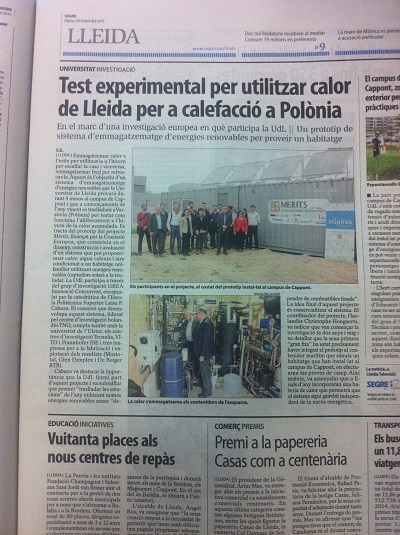 The SolabCool participates in a special project with the HAN. 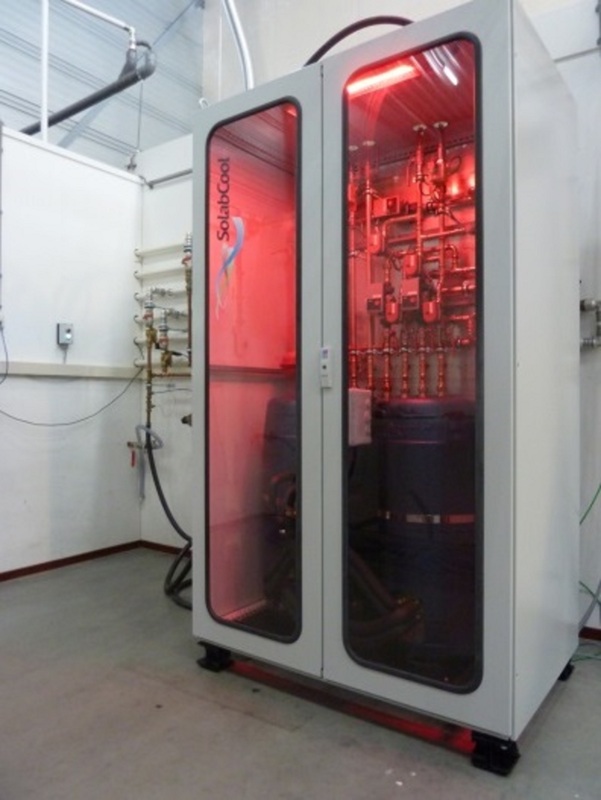 In this pilot our SolabCool will not only be used for cooling but for heating as well. 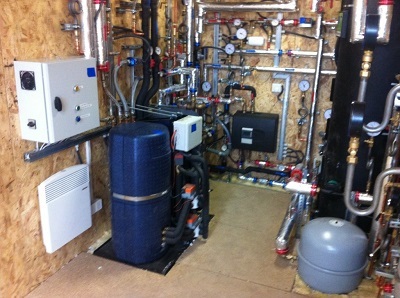 The HAN has a greenhouse which houses special demonstration projects as well as our SolabCool. 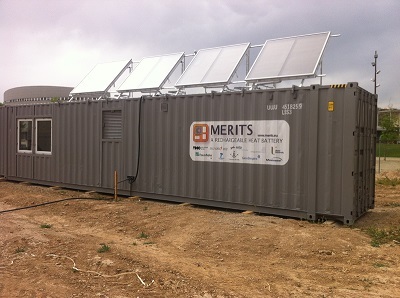 They will use solar collectors and a buffer vessel to supply heat for the Solabpump. 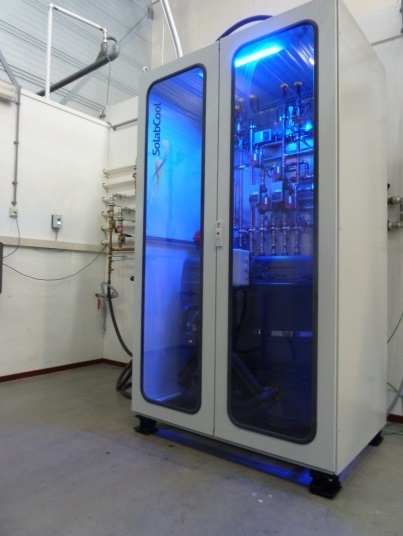 For this reason we have built the SolabCool in a special casing, in which the students can easily reach all the flow gauges, and all the pipework is easily traceable as well. We also supplied a customized electronic control in which the students can make adjustments. This way the students gain insight, in the technique in the real life form, and how they can influence it.